SEOUL, Aug. 31 (Yonhap) — South Korea’s top Air Force commander warned Thursday of the possibility of unexpected, sudden attacks by North Korea, with all eyes riveted on its ballistic missile and nuclear programs. 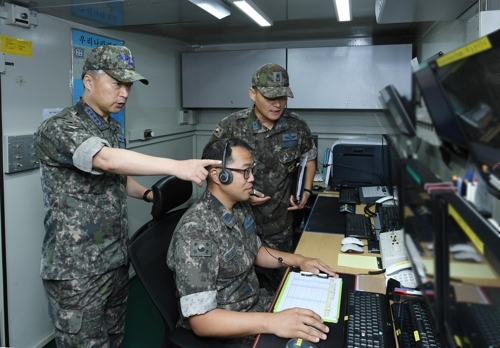 During a visit to a local unit of the Air Defense Artillery Command, Gen. Lee Wang-keun, the Air Force chief of staff, called for a watertight aerospace surveillance and anti-ballistic missile posture. He inspected the operation of an early warning radar against incoming ballistic missiles, which is in operation around the clock, according to the Air Force. “You should bear in mind that the enemy can provoke anytime and anywhere,” he was quoted as telling the troops there. On Tuesday, the North test-fired an intermediate-range ballistic missile that overflew Japan. Munsiyari is the hidden hill station in Uttarakhand people of Uttarakhand says that it is heaven on earth. To get the booking of resorts and hotels in Munsiyari just make a call to us and we will help you guide the best rates. South Korea is powerfull country.